Westec Tank & Equipment has re-designed the portable tank for even greater usability and flexibility. Dimple jackets in five-foot or six-foot widths provide even temperatures for small batch fermentation. Portable tanks with wide dimple jackets are more sanitary because the water sheets off cleanly during washing. There is no interior horizontal seam to catch debris. The sloped floor makes it easy to drain. 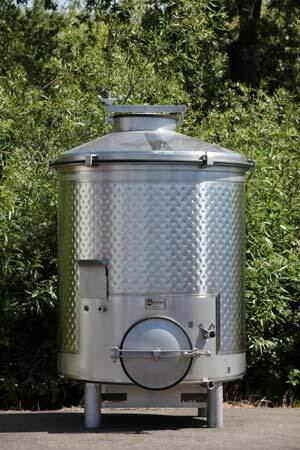 For something larger, see our full size wine tanks. 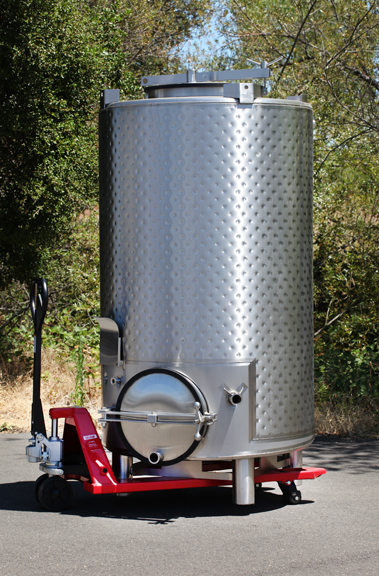 Portable tanks are deal for experimentation in wine making. 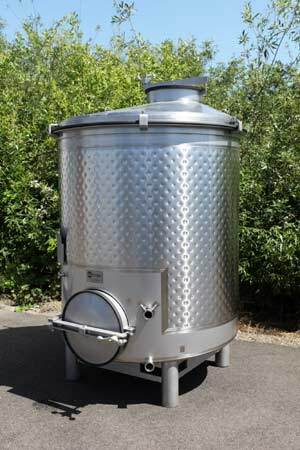 Closed top, stackable portable tanks are extensively used for small batch pump-over fermentation for cabernet and Bordeaux-style reds. Stackable portable tanks are easily moved around the facility using a pallet jack or forklift. While most portable tanks are closed top like the one one the left, the one featured on the right is a unique combination tank with a removable top. 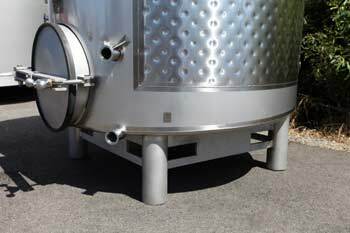 It can be used as an open top small batch tank for punch-down of the red wine must for fermentation of pinot and zinfandel. The removable top greatly expands the usefulness of the tank. After fermentation, the tank can be used for storage, blending and bottling. This removable top configuration allows the tank to be useful all year. While the removable top shown increases the usability of the tank all through the year, the style on the right is not stackable. 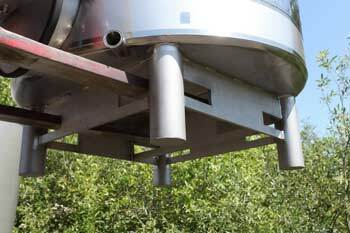 Westec can make six-foot portable tanks with a single-piece sidewall. The dimples can cover nearly the entire surface for stable temperature control. 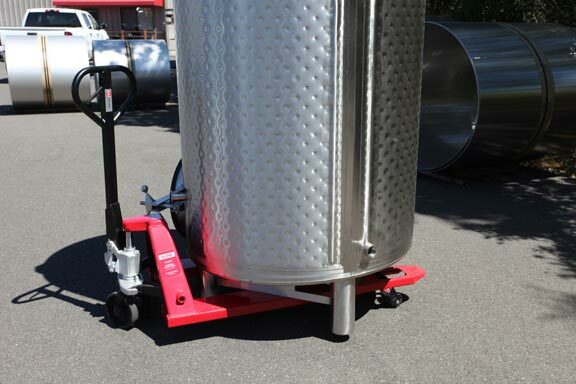 Westec portable wine tanks are built for ease of use. Easy to move and stack for your needs. Westec portable tanks are easy to work with. I’m always confident Westec will go above and beyond to make tanks that are not only practical, they are aesthetically beautiful. The tanks they have fabricated for Colgin using the wider stainless sheets are welded nearly seamlessly. Jim Belli at Westec is always a pleasure to work with. I recommend them because they understand my needs and offer complete customization."